Don’t you just love Fall? Are you ready for those nippy nights and cool days? It can’t come soon enough for this Mississippi girl. Or can it?…..
As I was driving home tonight and thinking about what to have for supper, I had a jolting realization. 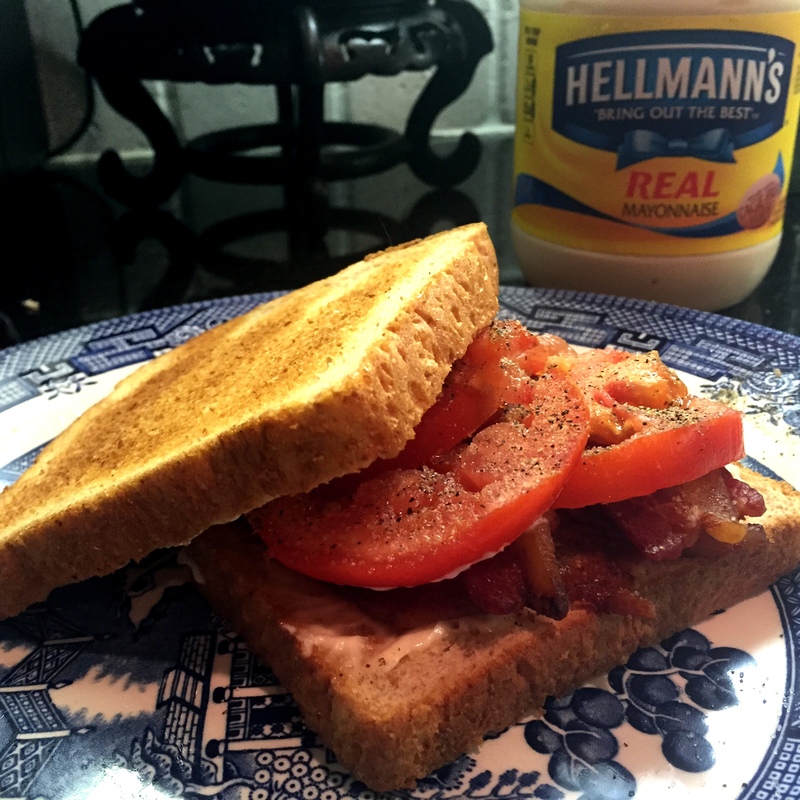 Bacon Tomato Sandwich season is almost over!! Where did summer go? Why didn’t I buy more of those great tomatoes at the farmer’s market when I had the chance? I’ve gotta have a BLT and now! (BTW: I may call it a BLT but I never include the L (Lettuce), just B (Bacon), T (Tomato), and M (Mayo) Yum! So what did I do? I pulled into the grocery, bought some thick sliced hickory smoked bacon and the best looking tomato I could find. Guess what’s for supper tonight honey? So now you know the inspiration for my post but what’s the point? The point is–I want to teach you how to cook bacon for a crowd, or a week’s worth of sandwiches, or to put up in the freezer to pull out when you just need a few pieces. When my kids lived at home, we could eat a pound of bacon at one meal easy. Now that its just Jeff and Me, we only need a few pieces and it’s just not worth messing up a skillet. You’ve got the splatter, bacon grease to have to deal with, and a messy skillet. And besides, I don’t want to have to stand over the skillet while it fries. No wonder we didn’t get our full share of BLT’s this summer. So, tonight I decided to cook the whole package of bacon the way my Mama used to cook bacon for a crowd. My mama–a GREAT cook and beloved by many!! So, thanks to Mama and the fact that she didn’t like standing over a skillet of frying bacon, Jeff and I had our sandwiches tonight and enough precooked bacon in the freezer for many more. Now, if the tomatoes will just hold out a little while longer. Click the link below and I’ll tell you exactly how I did it. Or, maybe I should say, “how Mama did it”.